Playing tag in the corridors, last-minute cramming in the library, working hard at a desk: furniture and fittings have always been subjected to the highest demands in public buildings and educational establishments. After all, boisterous children, students and teachers as well as constant public traffic not only put a strain on tables, chairs and cupboards but one thing above all else – the floor. 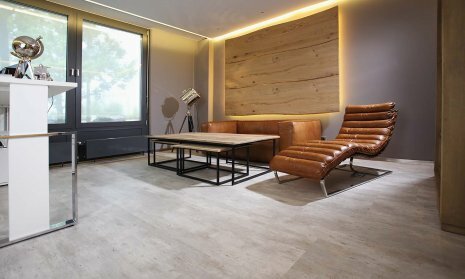 The right flooring therefore has a crucial role to play. It should be attractive and feel comfortable. In addition, it should naturally be free of plasticisers, extremely durable, long-lasting as well as quick and easy to clean. PURLINE organic flooring is an all-rounder, easily fulfilling these requirements and a few more besides – it will always do the job. 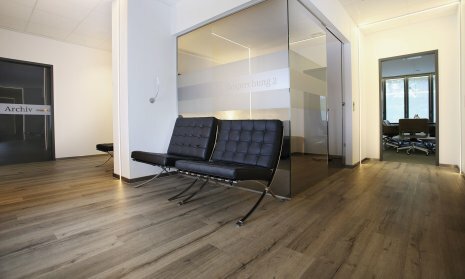 Our exceptional, unique floor coverings fulfil these complex requirements in the public sector and therefore provide the best foundation. PURLINE organic flooring is probably the most environmentally-friendly elastic flooring currently available on the market. It is made from natural and renewable materials, contains no toxic additives and is the perfect solution for a variety of situations and applications. 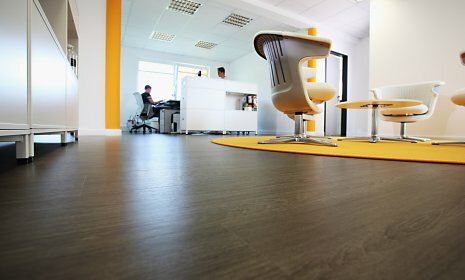 PURLINE organic flooring can be used for a wide range of applications – from reception and administrative areas to entire recreational and working areas through to corridors and emergency escape routes. Our elastic floor coverings easily meet a wide variety of performance requirements, making PURLINE organic flooring impressively versatile and naturally overall the best foundation for modern working, living and creating experiences. 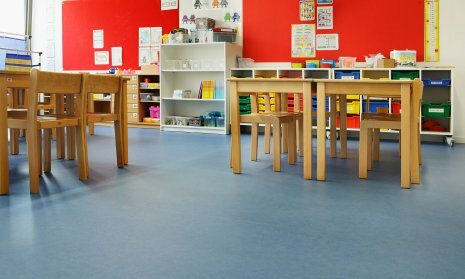 In high traffic areas such as nurseries and schools, PURLINE organic flooring is an all-round top choice thanks to its hard-wearing and easy-clean qualities. With a first-class resilience level, PURLINE organic flooring does not show any signs of wear even in places where chairs are frequently moved around. 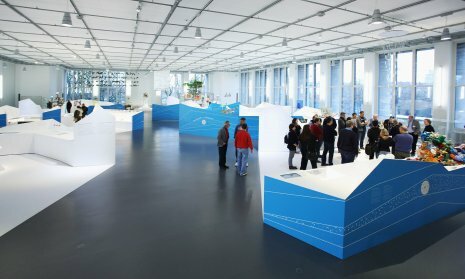 Since it is particularly pleasant to stand and walk on, every museum visit becomes an experience with PURLINE organic flooring.